Warning - Holiday Mode Incoming! Warning – Holiday Mode Incoming! 3 Comments on Warning – Holiday Mode Incoming! Just a heads up that I’m going on holiday from the 4th to the 18th of September. Don’t panic, I’m just going back to Portugal for two weeks, so the family can meet the little princess. I’ll have my laptop with me and a good internet connection, so I’ll keep the blog updated. Just be aware that it might be later on the day or at night, when I will have some time free. Thought it would be a good idea just to let you readers updated. You are doing a good job m8. Enjoy your holiday and recharge yourself. 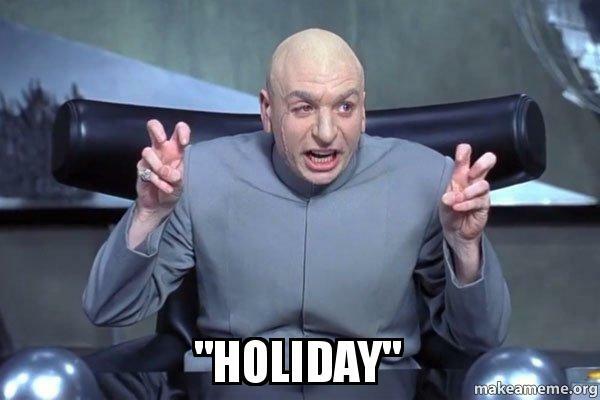 Thats what a holiday is for.